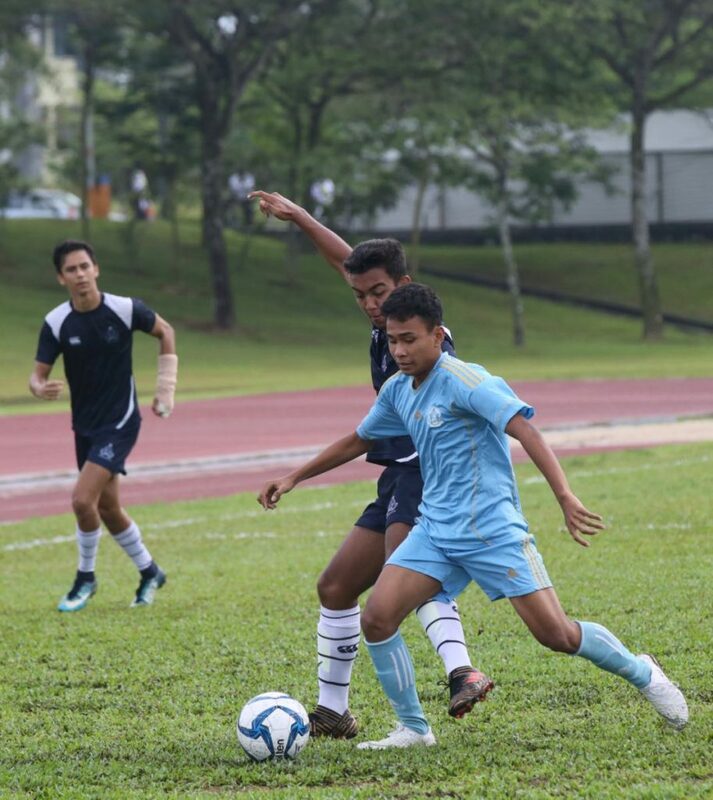 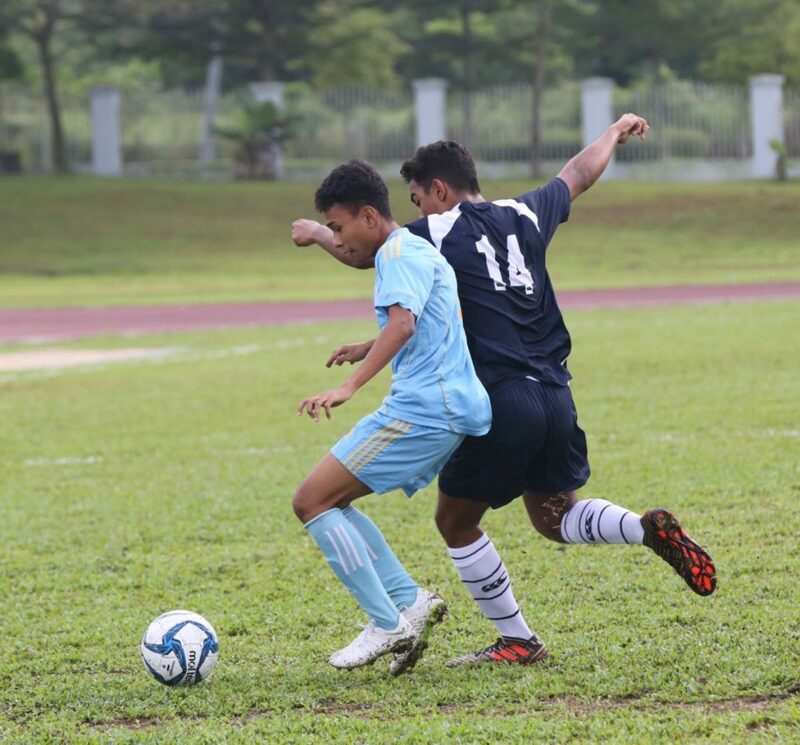 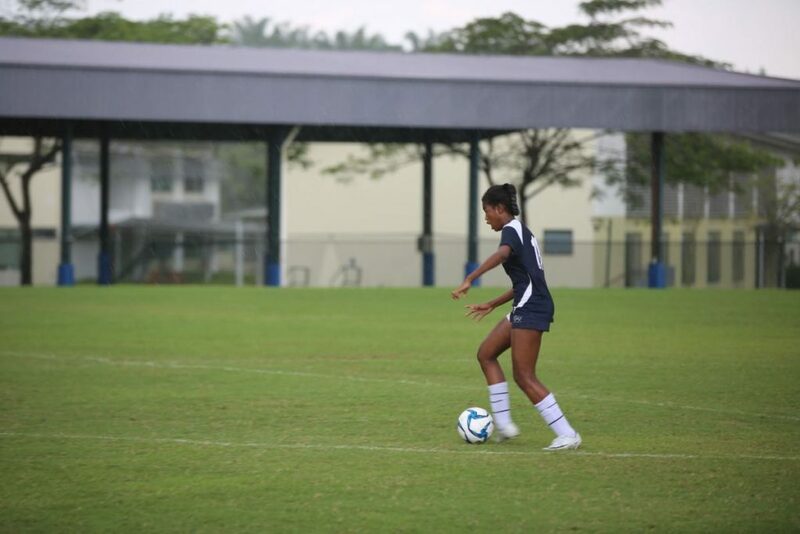 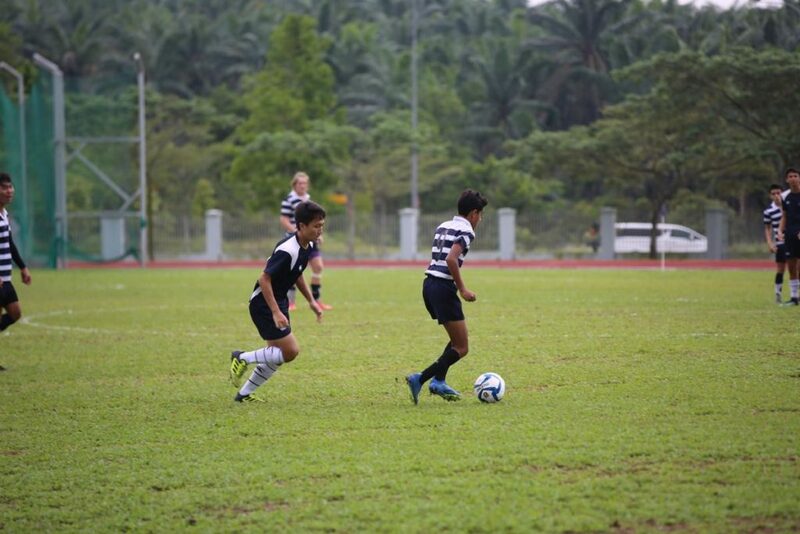 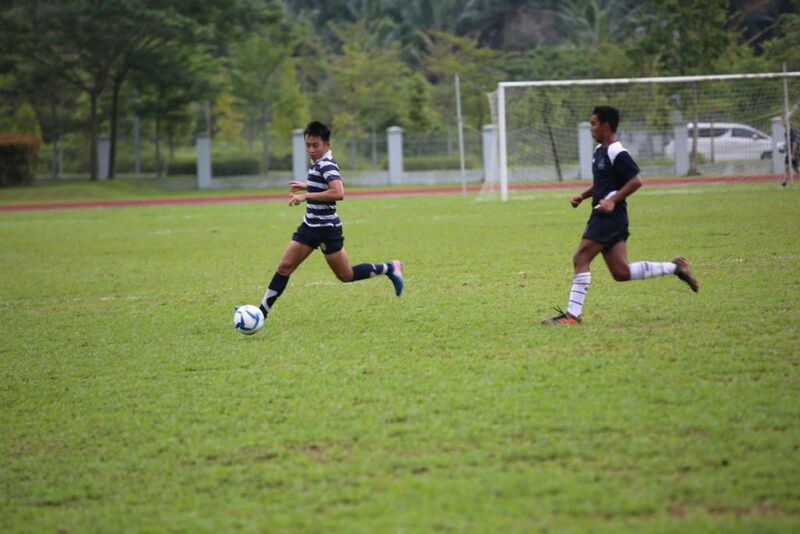 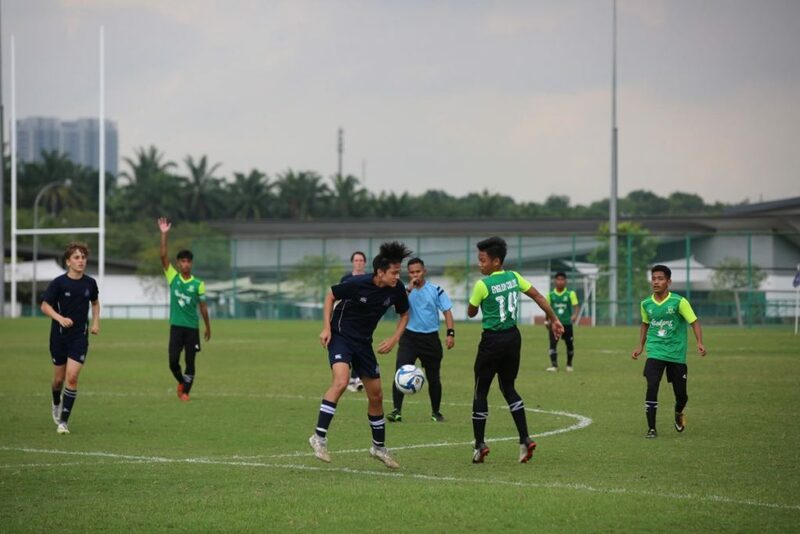 On Saturday, 13th October, MCM hosted the Straits Football Tournament for U16 and U18 boys and girls. 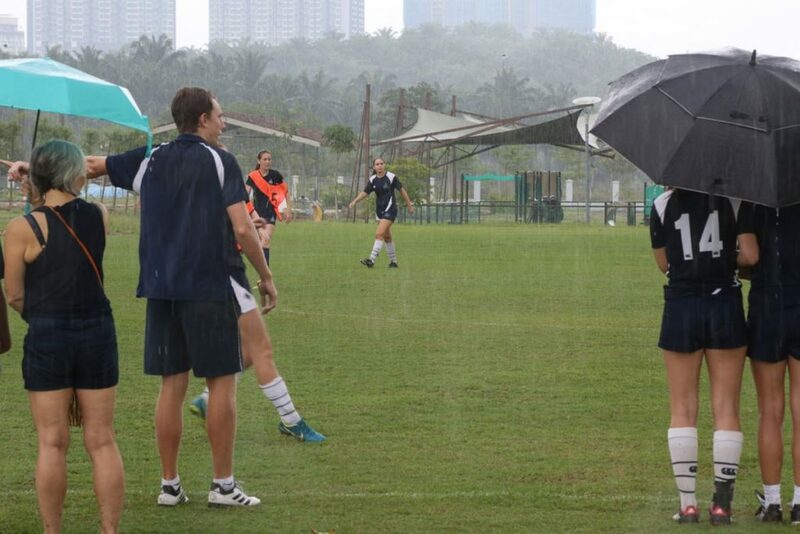 Much time had been spent training and selecting the squads in preparation for this important event. 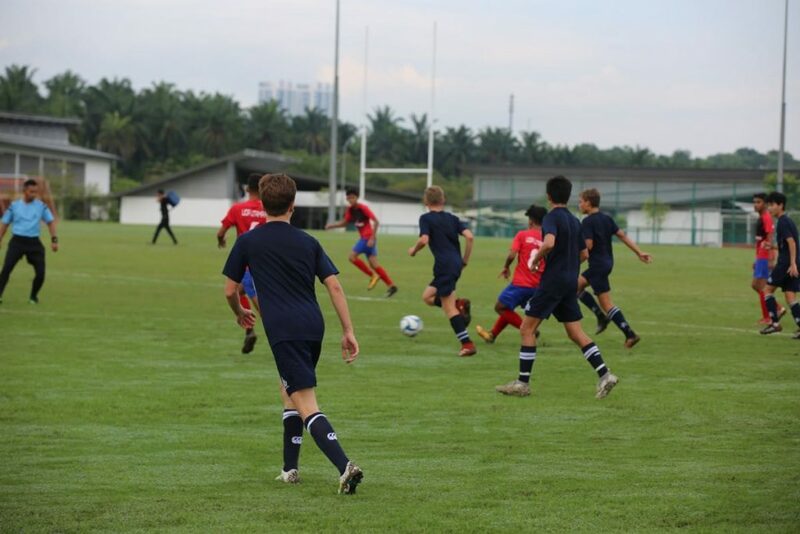 Fourteen visiting teams arrived for an 8.30am kickoff. 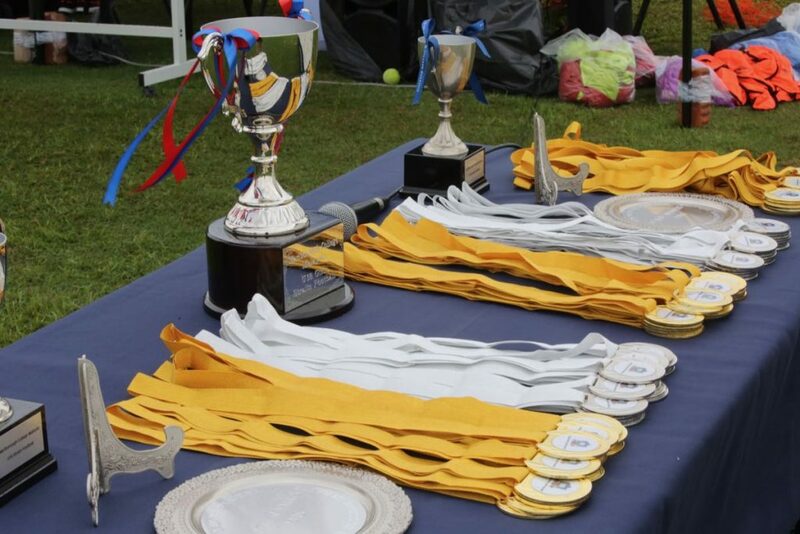 The level of the girls’ competition was excellent at the tournament. 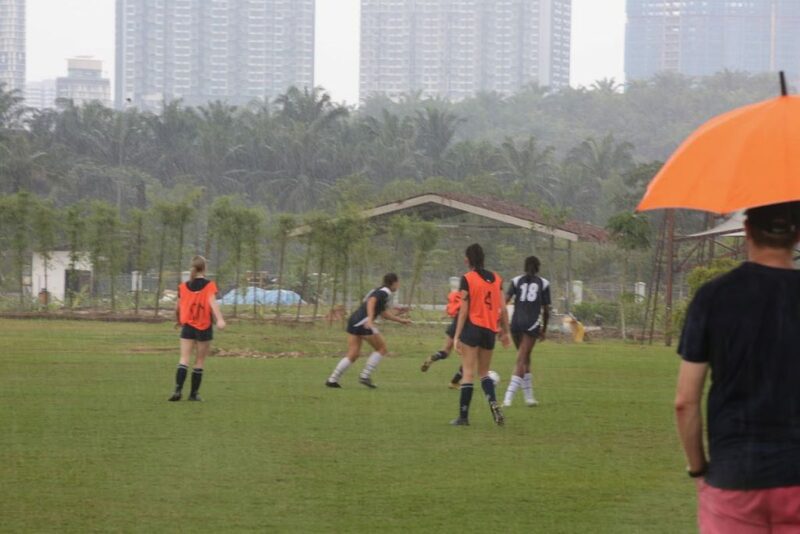 All female footballers demonstrated great commitment and enthusiasm in every match. 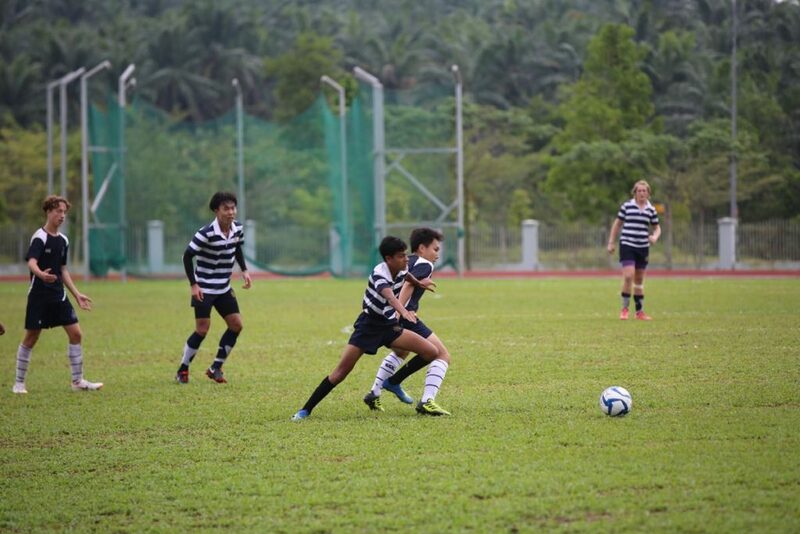 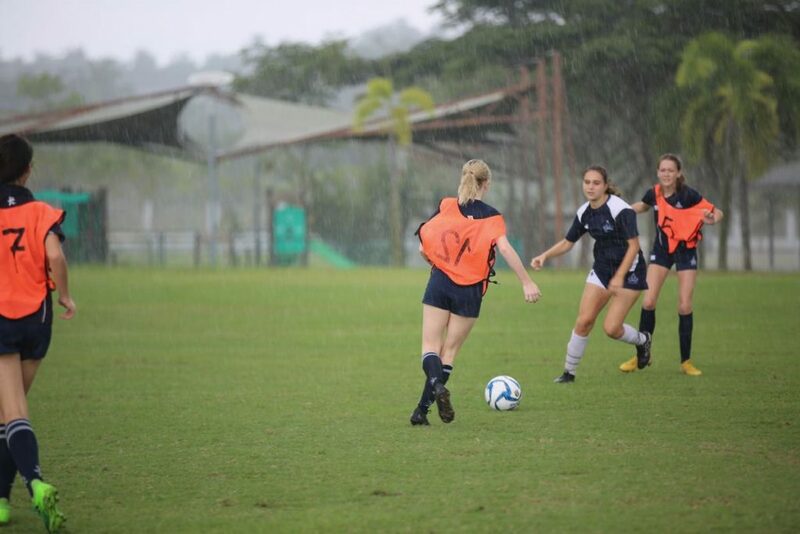 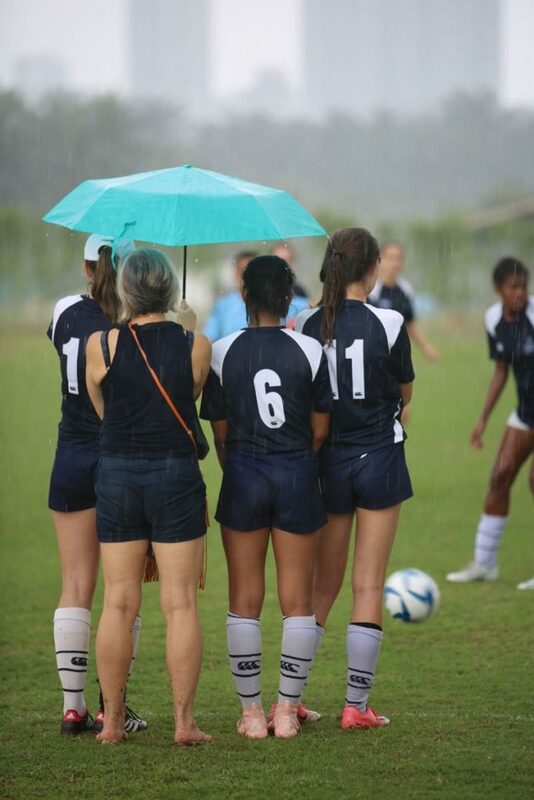 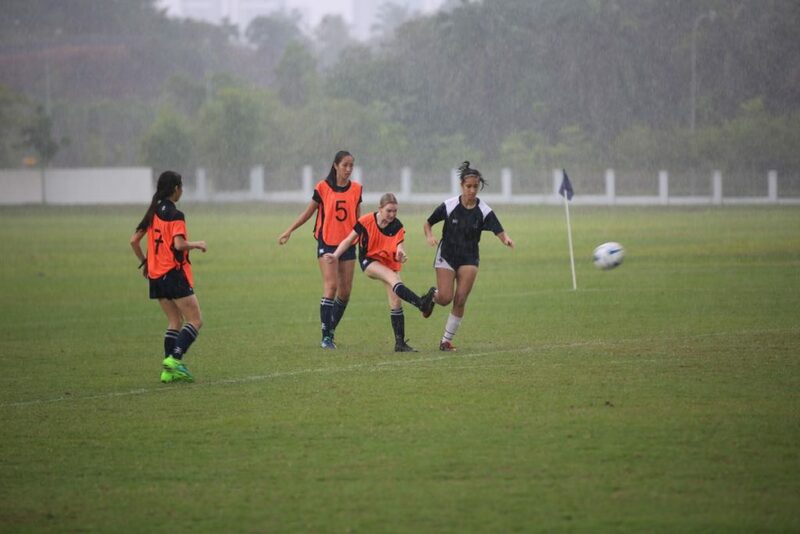 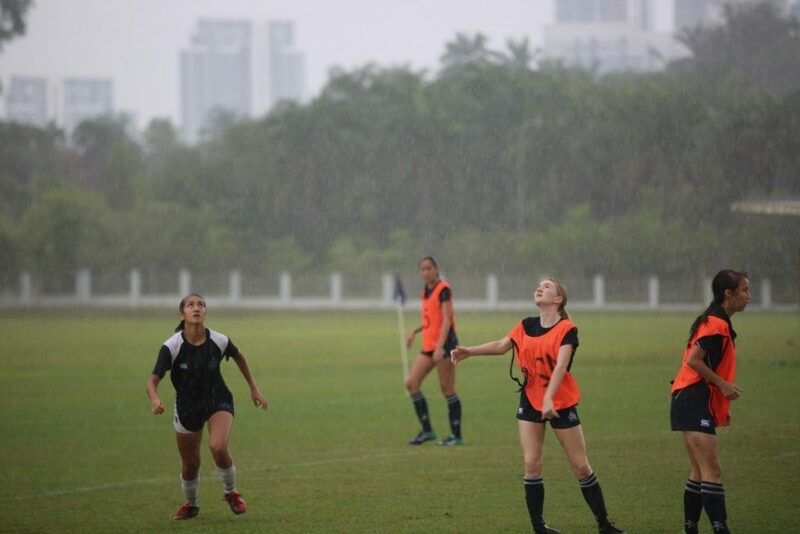 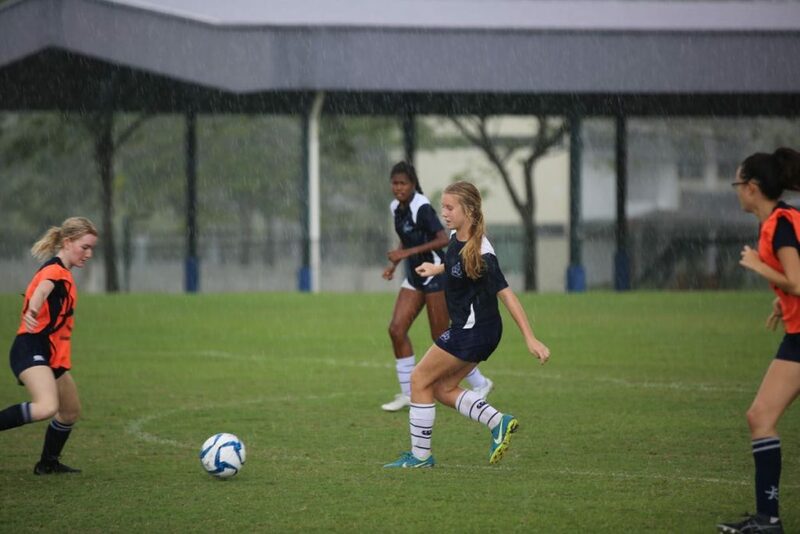 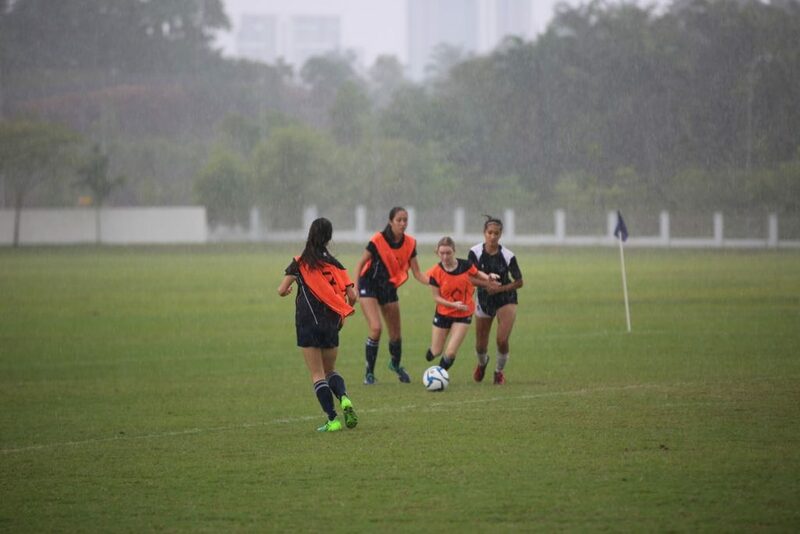 The U16 girl’s team fought hard against tough opposition. 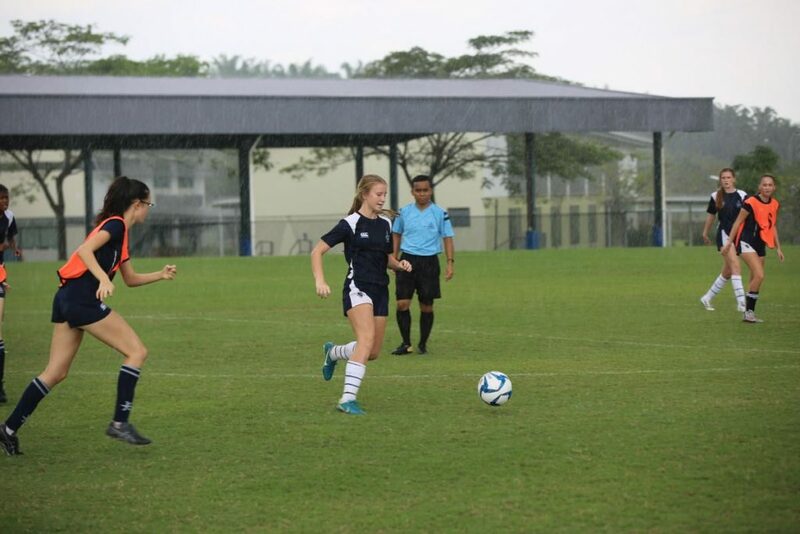 Johanna Flodin saved many goals and Hao Wen Liang worked tirelessly in midfield. 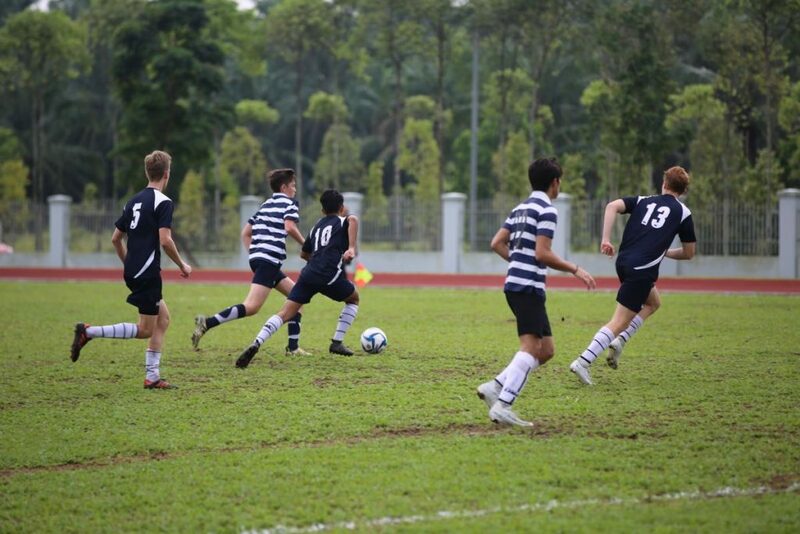 The 1st team played skilful, mature football. 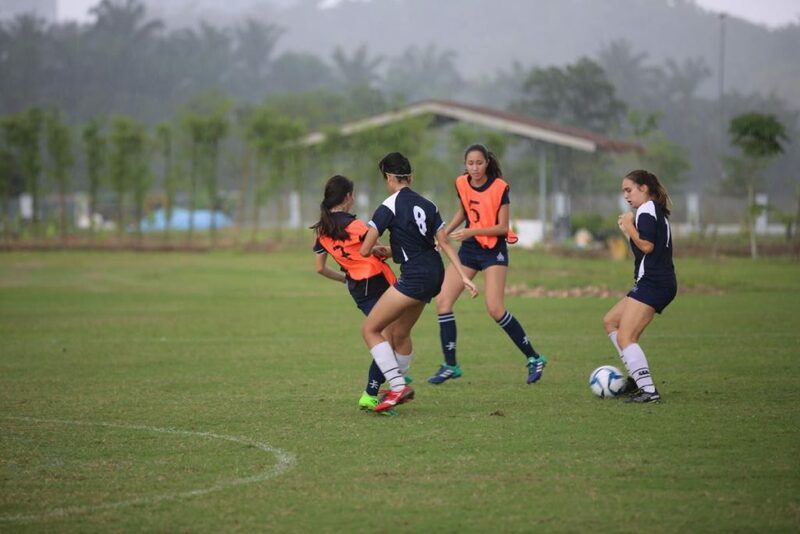 A strong passing game, solid defence and quick attack were the key to success for these girls. 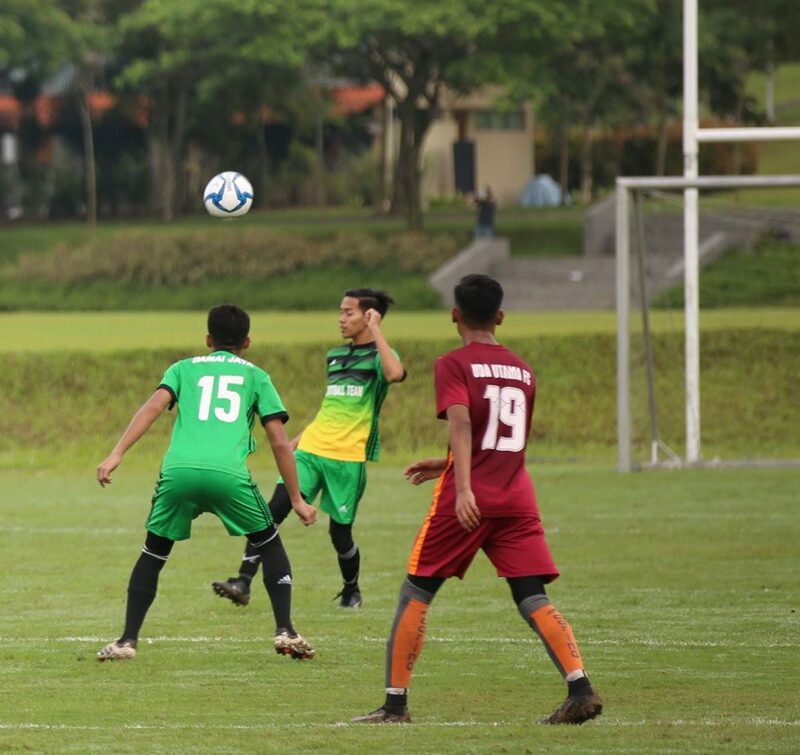 Many goals were scored by six different players. 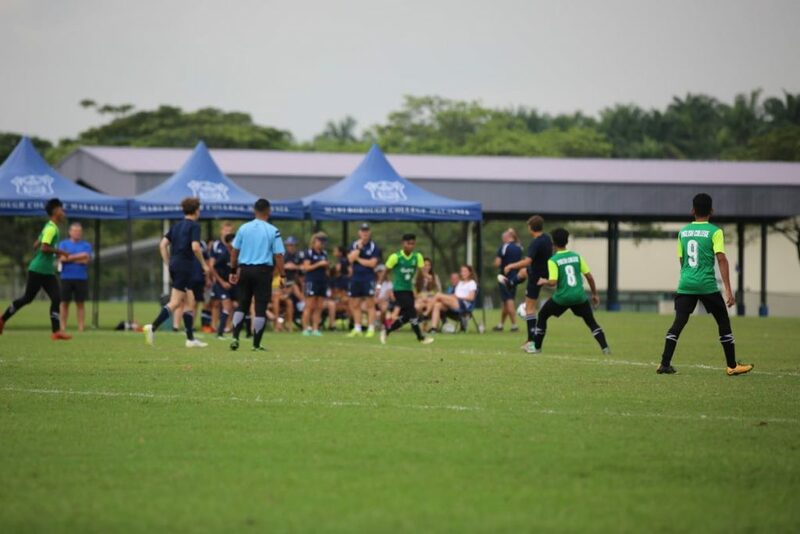 Special mention should go to the Barbarian team, coached by Miss Nixon, who were brought together from all the participating teams and showed amazing drive and passion for the game. 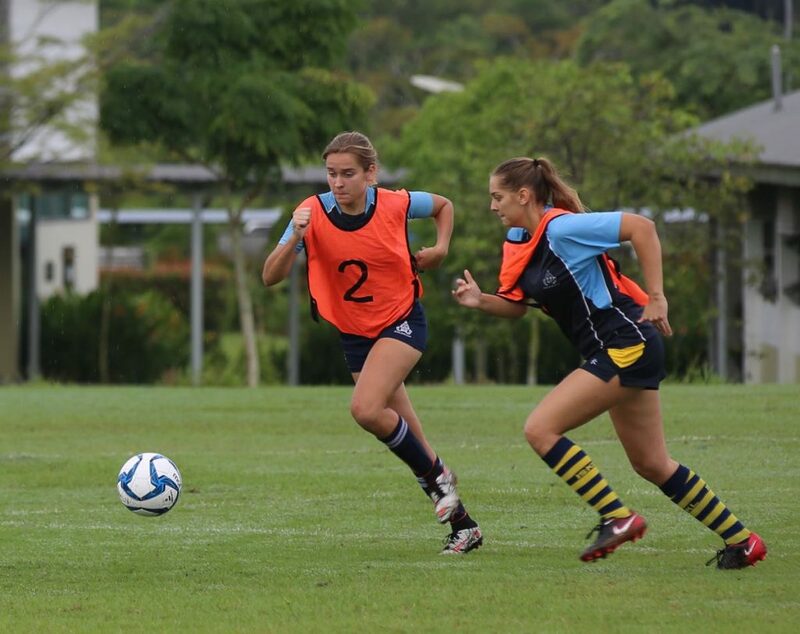 Izzy Harkins provided solid defence and Heather Richardson was on the end of every loose ball. 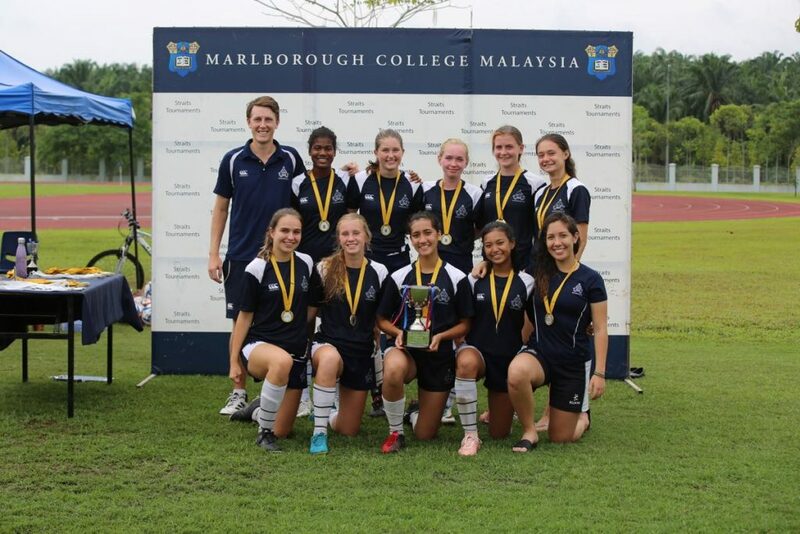 The overall winners were the MCM 1st team girls, conceding no goals. 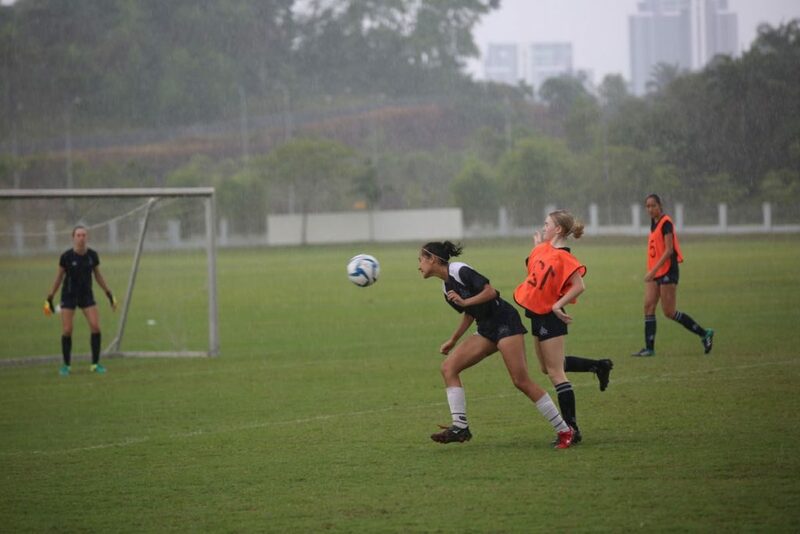 A fantastic performance from the defence and the goalie, Karina Russell, meant that ultimately no one could score against them. 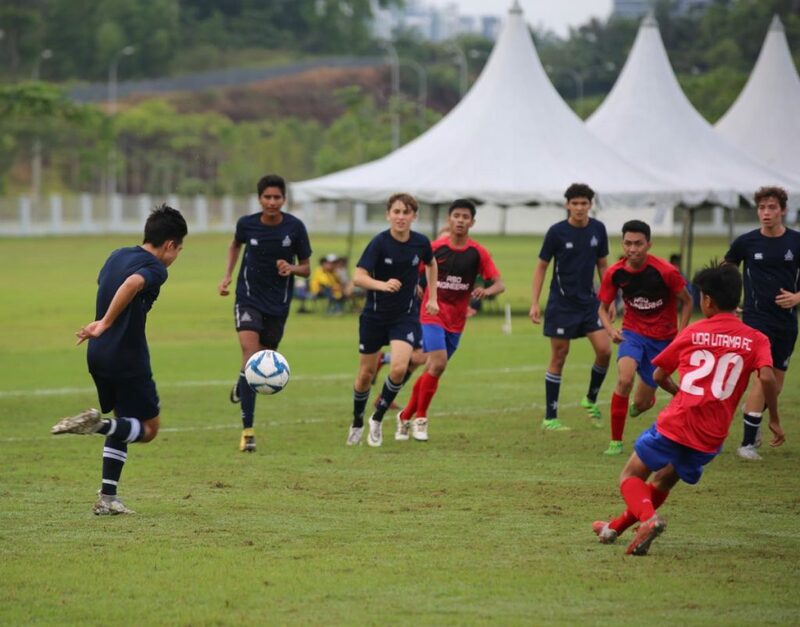 Everyone showed impressive performances and work ethic throughout the tournament. 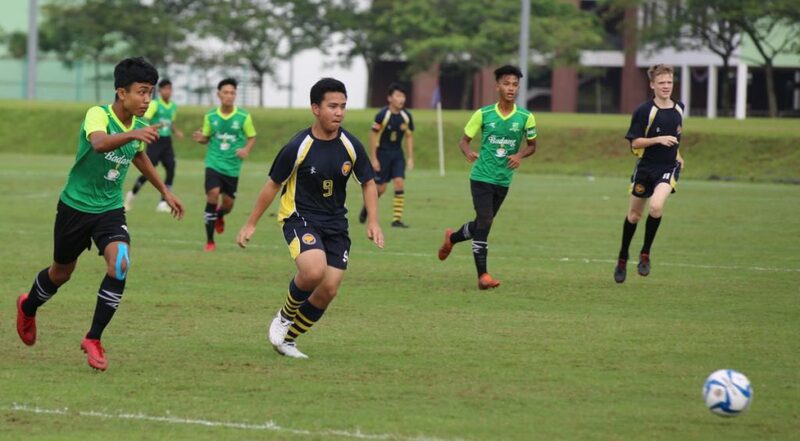 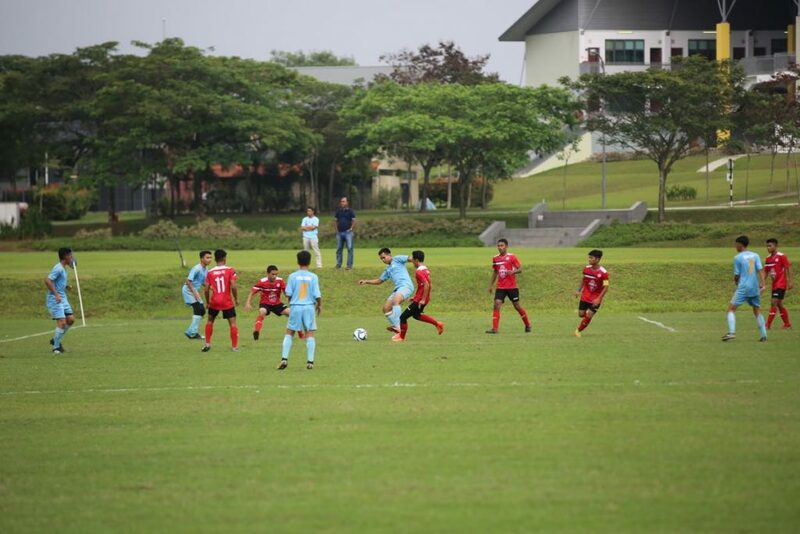 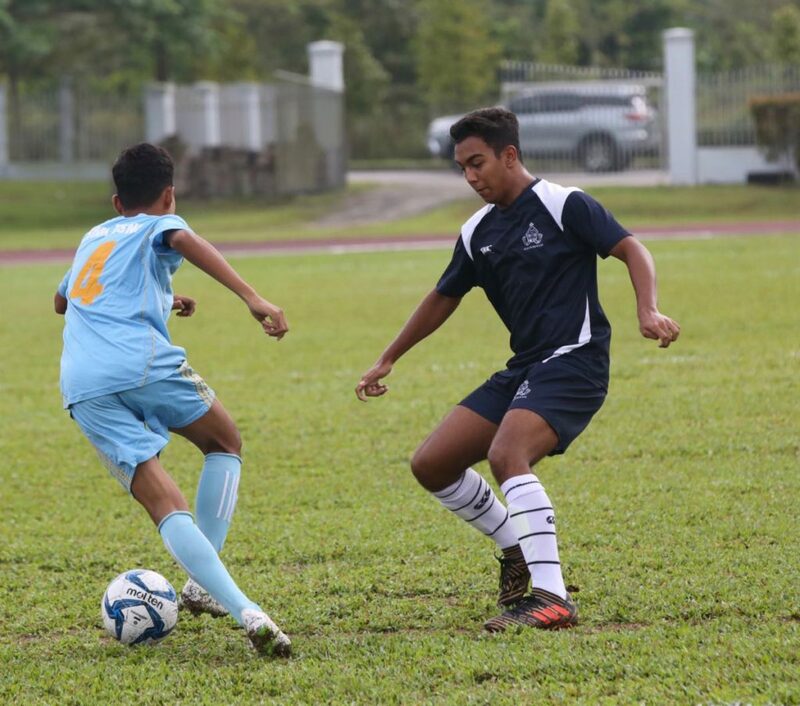 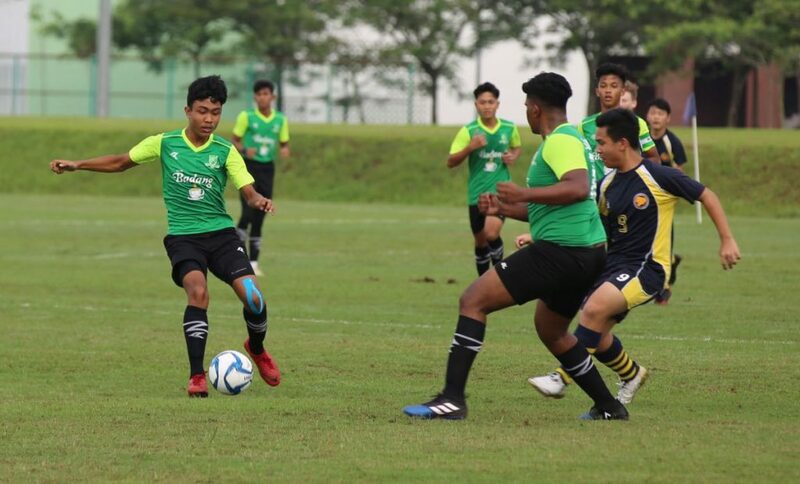 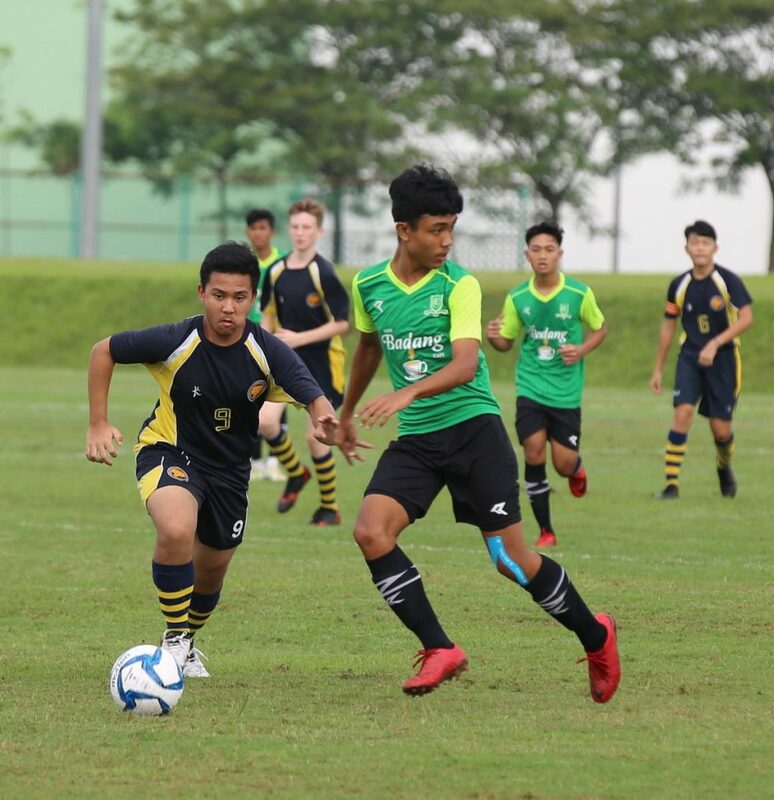 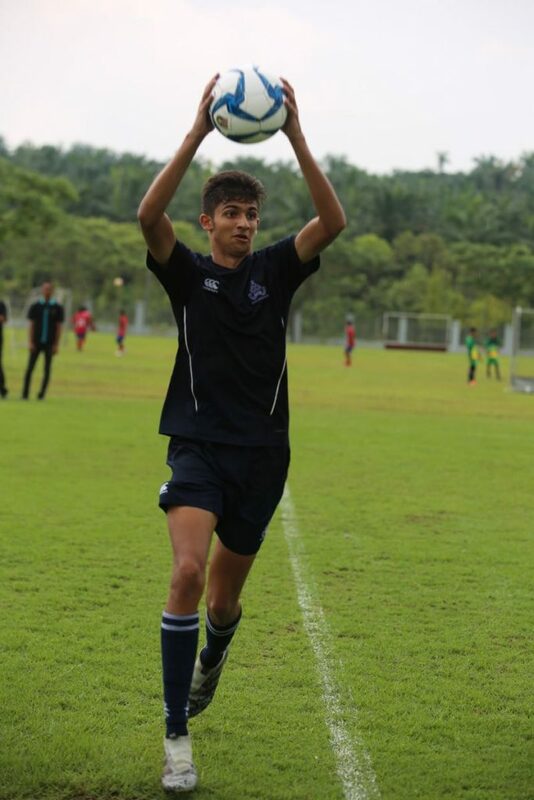 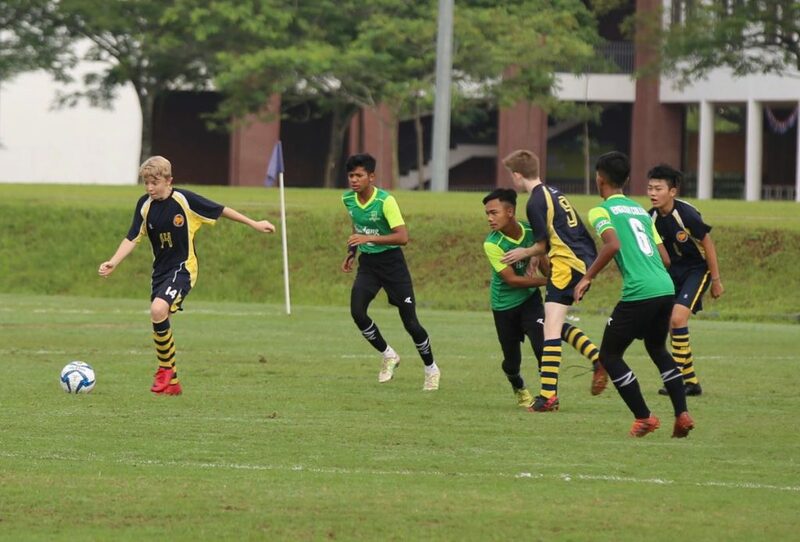 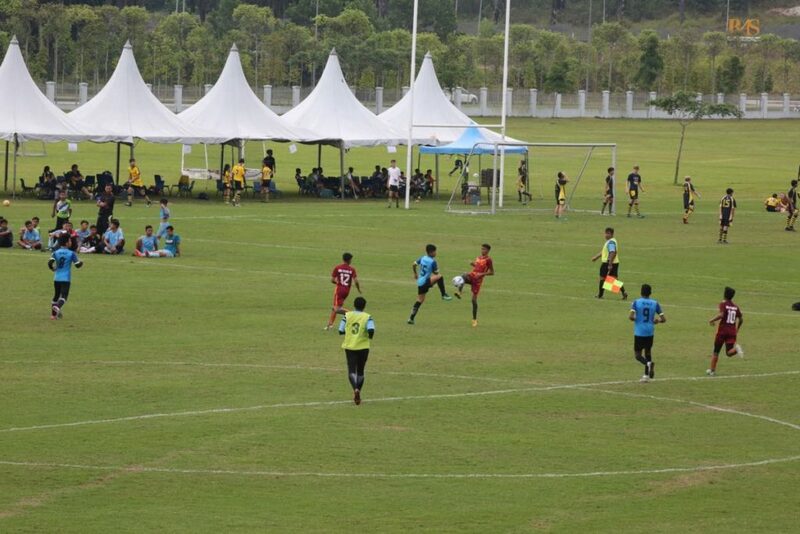 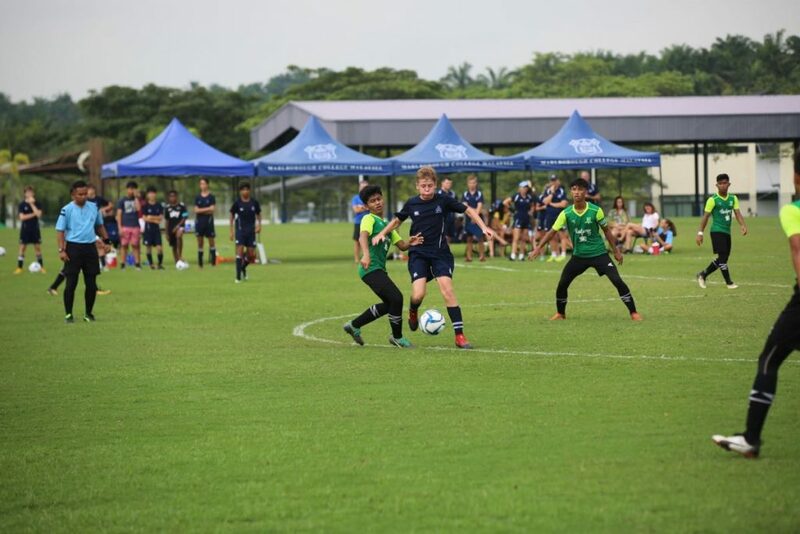 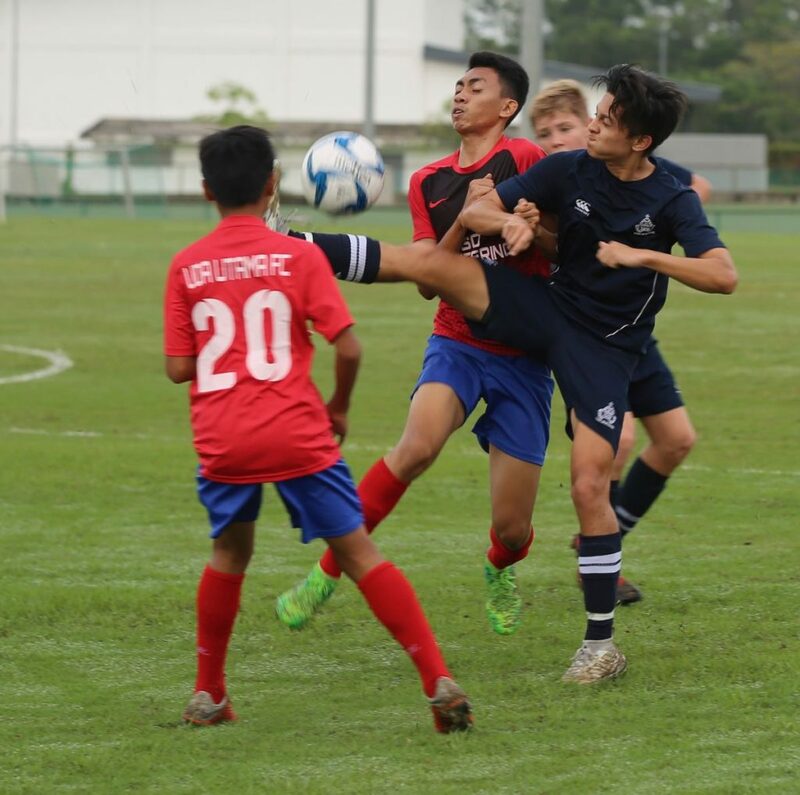 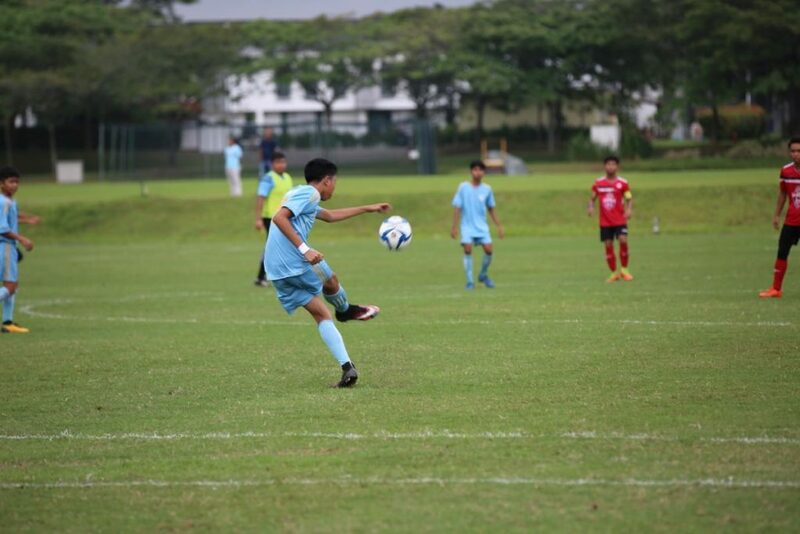 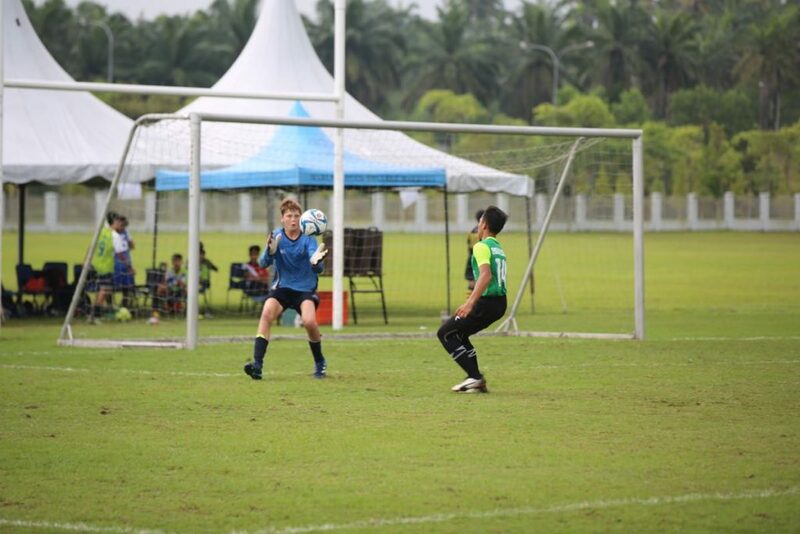 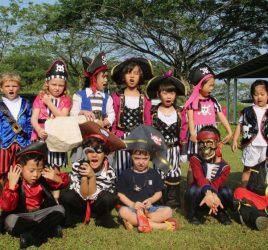 In the boys’ tournaments, there was tough competition from ISKL, Epsom College and a number of other very talented local schools, all vying for the Cup. 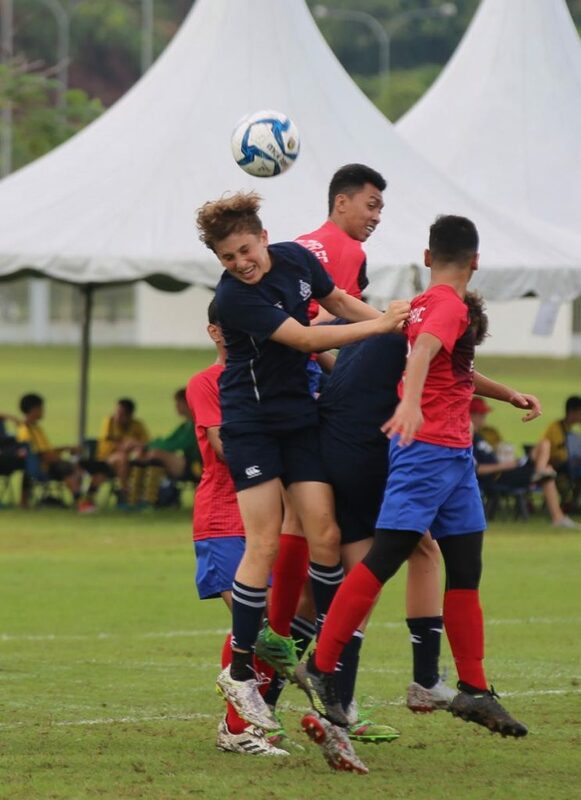 In the U16 Marlborough team, George Neale was integral to the work rate shown by the team and Freddie Patten showed great bravery in goal on several occasions. 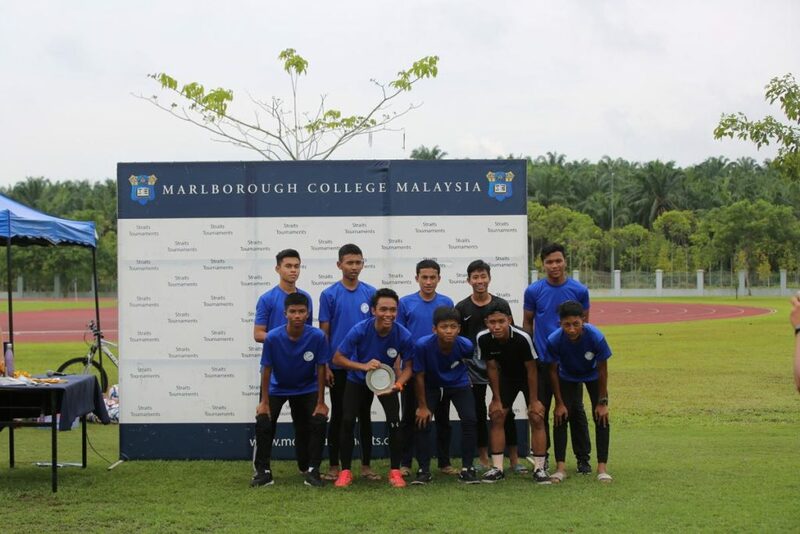 The boys finished third in the pool stages which unfortunately meant they did not make the finals. 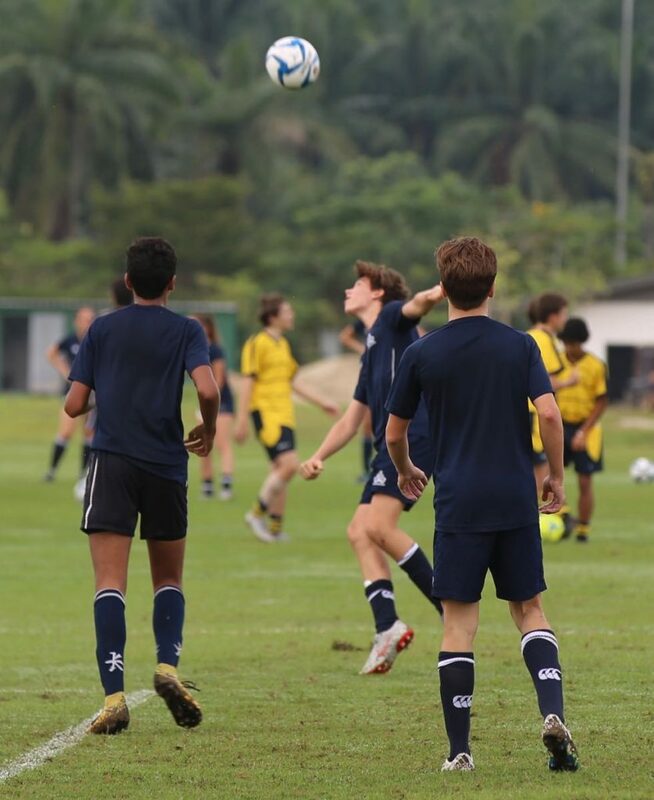 Marlborough’s 1st team played some creative football during the morning but, were unable to capitalise on their chances. 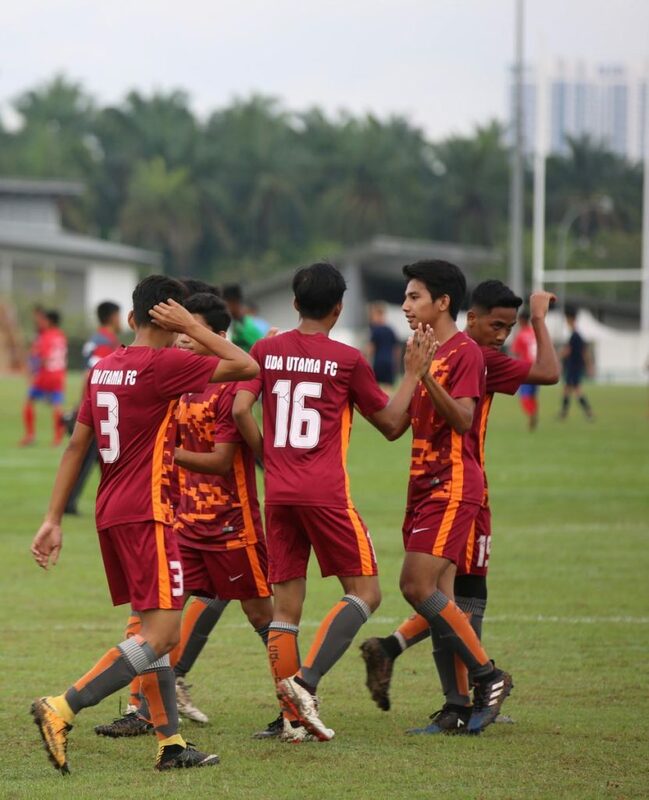 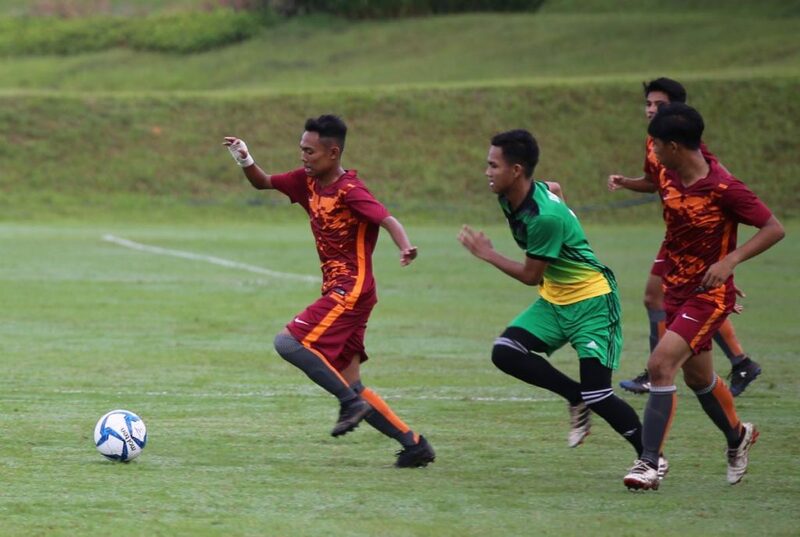 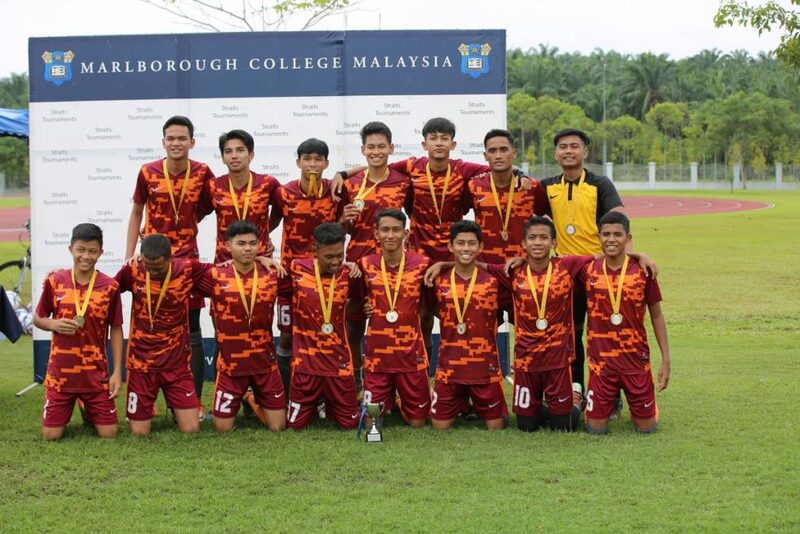 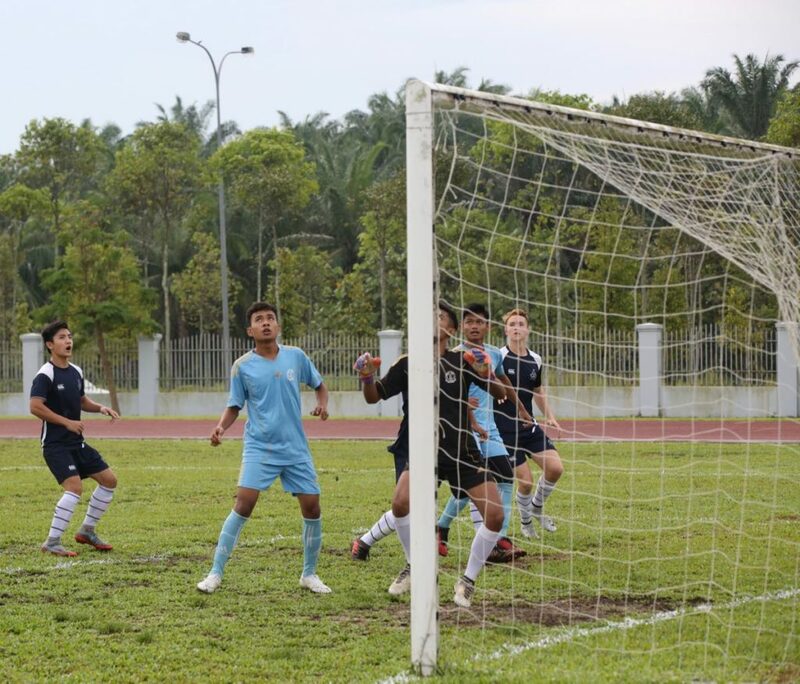 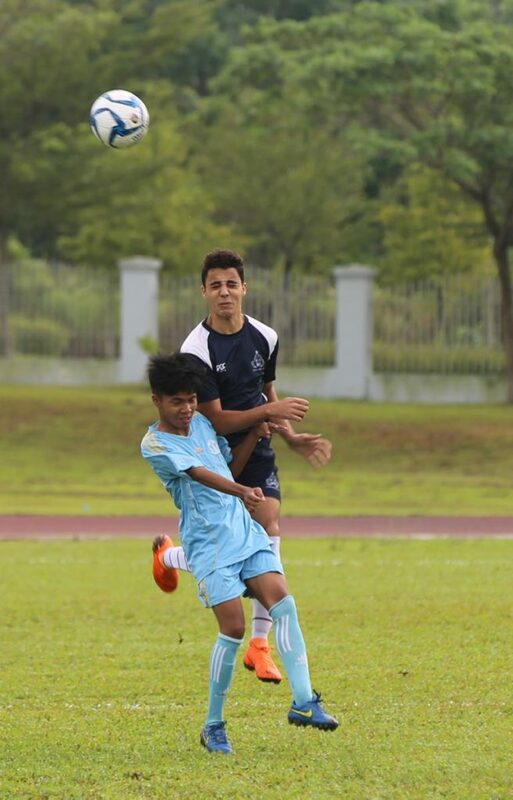 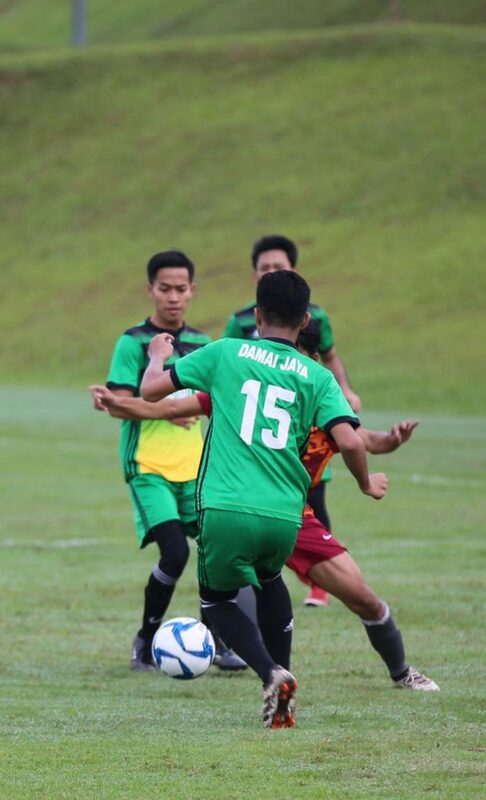 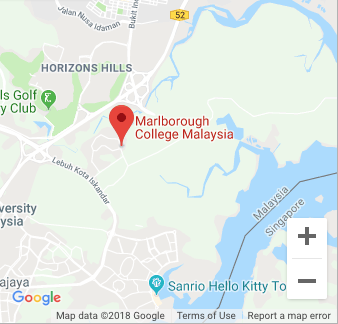 Although the short match timings meant that goal scoring opportunities were limited, Marlborough did beat Nasir Ismail 1-0 with an individual superb chip finish by Morgan Davies into the top corner. 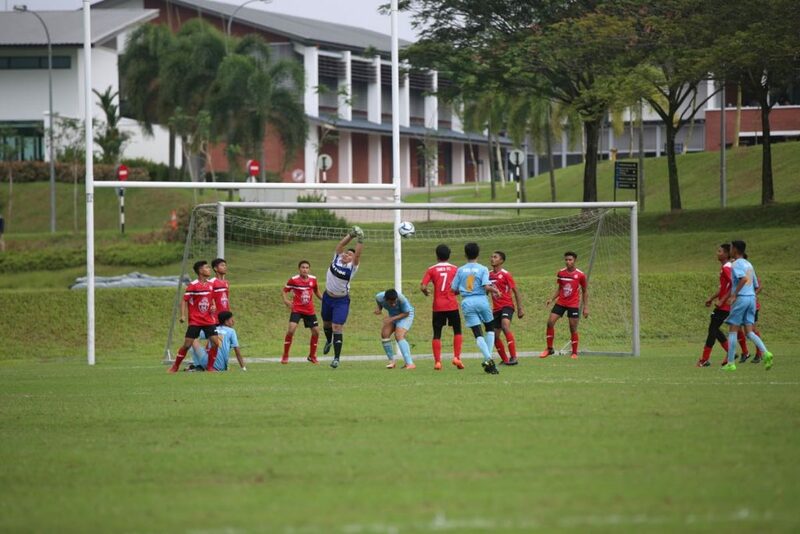 In the other pool stage games, Marlborough missed numerous chances on goal to secure a place in the semi-finals. 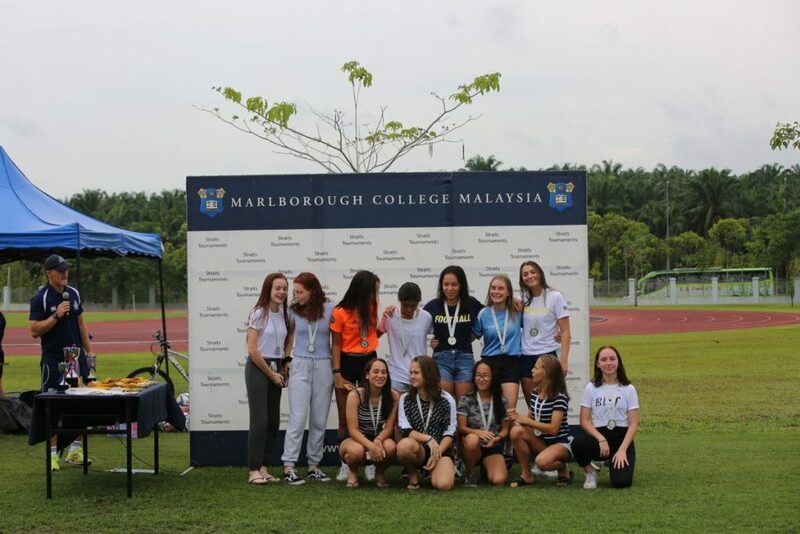 A huge congratulations should go to all teams for the sportsmanship and perseverance displayed on the day at the Marlborough Straits Tournament. 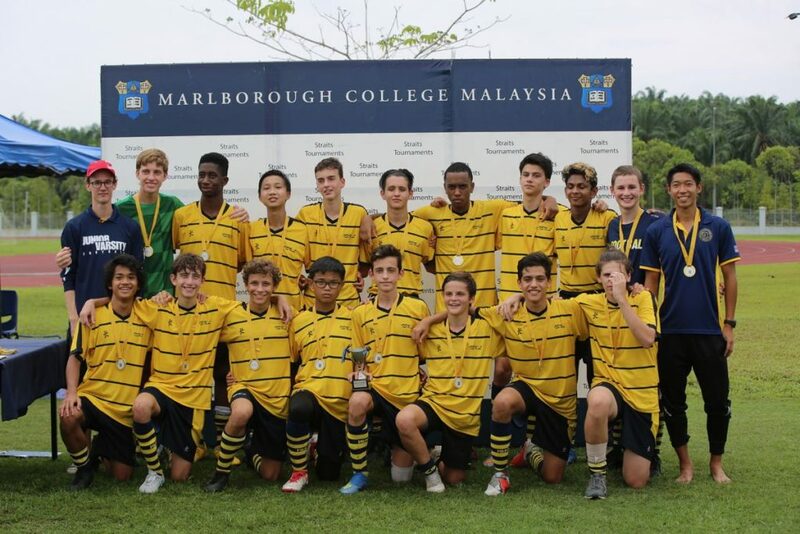 Well done to the eventual winners of each age group, Marlborough College 1st team, Bandar Uda Utama and ISKL U16s. 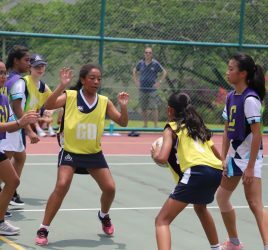 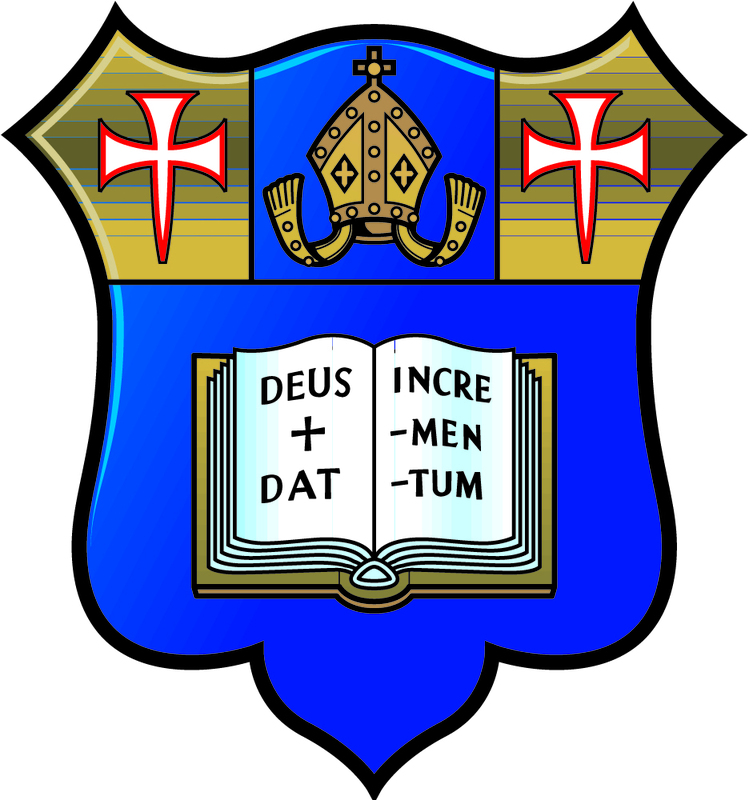 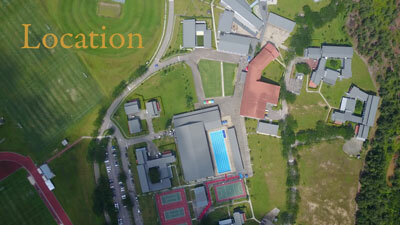 We now look forward to the Marlborough Straits Touch Tournament and the Boys Rugby Sevens in December.